If you missed Hannah's post last week, she began a series called Relationships Beyond Romance and talked about her favorite overt friendships from books. While I definitely love a good romance, she brought up a great point that romances tend to overshadow other important relationships in books, TV shows, and movies. 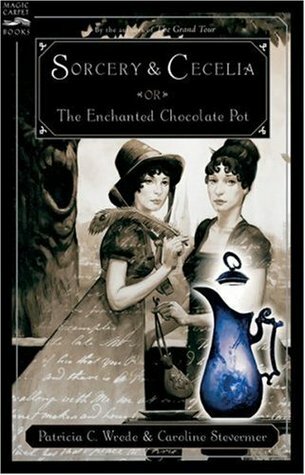 Okay, so Kate and Cecelia are technically cousins, but they are clearly cousins who are the closest of friends, so I think it counts :) This entire book is written as a series of letters between Kate and Cecelia as they get caught up in a magical plot, unexpected courtships, and the social machinations of Regency England. Through their letters, readers get to feel as though they're a part of the entertaining, mischievous friendship between these two characters, picking up on hints of unspoken feelings and references to inside jokes along the way. It's also fun to note that Sorcery & Cecelia actually began as a "Letter Game" between two author friends that had such a great time with it, they decided to turn it into a book. As a result, it boasts not only a memorable friendship between the fictional characters but also a unique glimpse into the humor and enjoyment of the friends who created it. I absolutely adore Shannon Hale, especially The Goose Girl, the first of The Books of Bayern (which ranked #2 in my Favorite Fairy Tale Retellings post). Part of what I loved about The Goose Girl was the community of friends Isi eventually makes among the other animal keepers at the palace. Enna is the closest of these friends, and balances out Isi's shy, tentative nature with her boldness and strength. 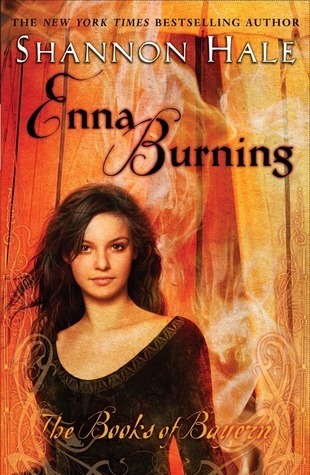 But where I thought Isi and Enna's friendship turned into something truly noteworthy was in the second book in the series, Enna Burning. Both girls have talents in nature-speaking, Isi with wind, Enna with fire. But towards the end of Enna Burning, each is being overwhelmed by her respective ability. They team up to find a way to restore balance within themselves, and the concern and care they show for each other and the way they are able to use their bond to bring out the best in each other provides a beautiful example of friendship at its best. When I reflected on books in which friendships are handled well, the Harry Potter series was the first that came to mind. Over the course of the series so many wonderful, sometimes unexpected, friendships arise that are fun to explore. But the one that holds the dearest place in my heart is the friendship between Harry and Ron. What I think draws so many people to these characters is that their relationship feels so real. They commiserate about school, share jokes, and try to figure out the world around them as they grow and develop together. But they also go through more difficult times. The reader experiences their hurts, jealousies, and misunderstandings right along with them, and in turn shares the relief and joy of their reconciliations. I also appreciate the way in which Harry gets to become a part of Ron's quirky, loving family. I have had the opportunity to share family moments with several of my most genuine, cherished friends, and it's a rare treat to get to see that played out so well in fiction. Despite their moments of turmoil, Harry and Ron have each others' backs, whether they're standing up for each other against bullies or putting their lives on the line to fight against the evil of Voldemort and other dark wizards. Now I want to hear from you! What friendships have you enjoyed most in books? Do you prefer books with strong friendships, strong romance, or some of each? Great post, Laurie! I was hoping somebody would be inspired by my series. 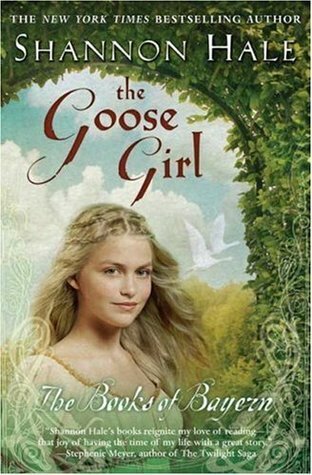 :) I am starting to want to read the Goose Girl book now! I have loved that fairy tale for as long as I can remember, so this retaking would probably interest me! I've got to go back to my childhood favorites: I loved Trixie Belden & her bff Honey Wheeler, then there's Betsy, Tacy, & Tib. Thanks for commenting, Brenda! I love that the friendships in the books you read in your childhood have stayed with you - it says a lot about the power of a good book! Thanks, Laurie! I love the friendship between Harry and Ron, as well! It is even more fun now, because my son is smaller, with dark brown hair and one of his best friends is taller and has red hair! Seeing them together always reminds me of Harry and Ron! Haha, that's so fun that your son and his friend look like Harry and Ron together! That certainly could happen with my boys someday, too, as redheads who are likely to be tall :) Thanks for commenting!